Upon arrival at Bangkok, you are picked up by our local tour guide and escorted to hotel for check-in. Enjoy your free time for the rest of the day. You can stay in the hotel for rest, or take a stroll to get acquaintance with this prosperous city as capital of a country, or drink a beer in a local bar. 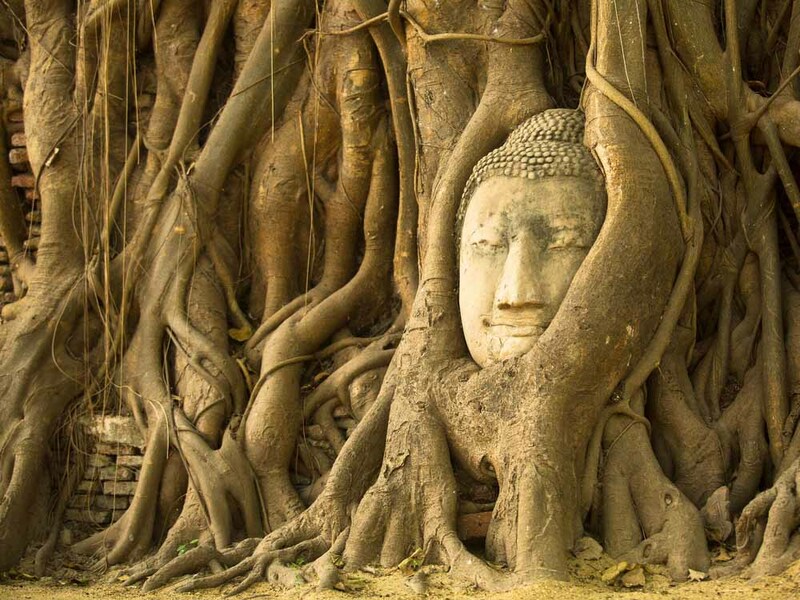 This tour includes three of the most unusual Buddhist temples in Bangkok: Wat Trimitr with its invaluable Golden Buddha (5 ½ tons of solid gold) – Wat Pho, the most extensive temple in Bangkok, with its colossal Reclining Buddha and the Chedis of the Kings. The Grand Palace is one of the most beautiful samples of an ancient Siamese court. It used to be the residence of the Kings of Thailand. Here you will see palaces which were used for different occasions: the Funeral Palace, the Reception Palace, the Throne Hall, the Coronation Hall, the Royal Guest House, and the beautiful Emerald Buddha Temple. Visit Wat Phra Kaew, which is a royal chapel situated within the walls of the palace. Incorrectly referred to as a Buddhist temple, it is in fact a chapel; it has all the features of a temple except for living quarters for monks. Wat Arun, is among the best known of Thailand's landmarks. The temple is so named because the first light of the morning reflects off the surface of the temple with pearly iridescence. Free at Khaosan Road. Over night stay in Bangkok. Depart by air conditional mini-bus for Ayutthaya, the former capital city of Thailand. Visit Bang Pa In Summer Palace, King Prasat Thong originally constructed the complex in 1632, and though it lay empty and overgrown throughout the late 18th and early 19th centuries, King Mongkut began to restore the site in the mid-19th century. Wat Yai Chaimongkhol, a large Chedi of this Wat which can be seen from a far distance. This monastery was built by King U-Thong in 1357 A.D. for the use of the monks who had returned from Ceylon after studying under Phra Vanarat Maha Thera. And the ruins of the old Royal Grand Palace & Temples. Cruise down to Bangkok along the Chaopraya River where you can enjoy the rural Thai life along the river. Return to hotel for leisure time. Over night stay in Bangkok. Fullday tour to The Damnoen Saduak Floating Market, situated 110 kms west of Bangkok, which is a very attractive place for tourists to see the old style and traditional way of selling and buying fruits, vegetables, etc., from small boats. You will also see traditional Thai houses, the way they live and travel by boats. The tour includes a visit to Nakorn Pathom, site of the highest Chedi in Thailand called “Phra Patom Chedi” which is the largest pagoda in Southeast Asia. Depart for Kanchanaburi, the famous World War II site. Overnight stay in Kanchanaburi. JEATH War Museum, is one of two war museums in Thailand about the Death Railway built from 1942 to 1943 by Allied POWs under the direction of the Japanese, a part of the famous Thai-Burma railways. Over night stay in Kanchanaburi. Morning excursion in Kanchanaburi. 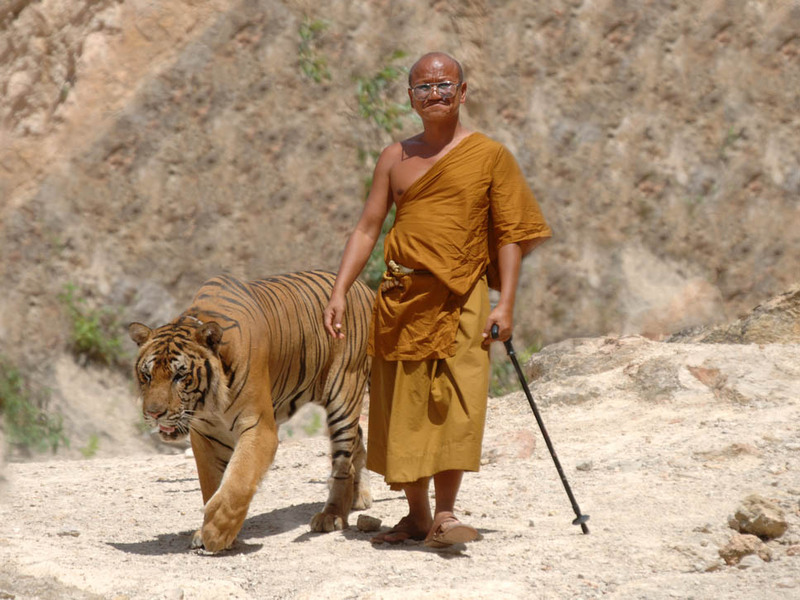 In these beautiful surroundings, dedicated Buddhist monks live with numerous wild animals including ten tigers, which they take for a walk on a leash every afternoon. This is one of the most extraordinary sight you will ever see in Thailand, and probably unique in the world. In such proximity to the tigers, all visitors must exercise caution, and never act in any way that might disturb or or frighten the beasts. Back to Bangkok. Over night stay in Bangkok. Drive to Pattaya from Bangkok. 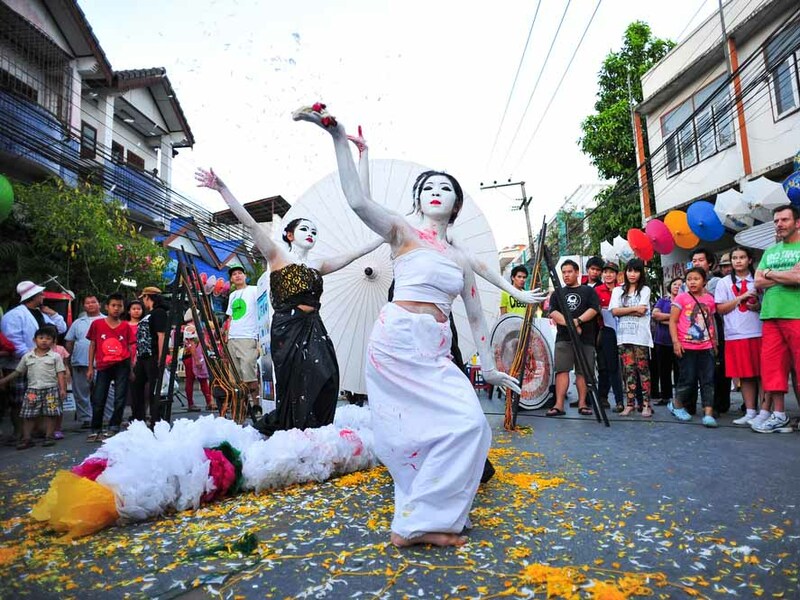 The next three days will put you into a fascinating and entertained world of Pattaya. After visiting Sriracha Tiger Zoo & Million Years Stone Park & Pattaya Crocodile Farm, enjoy a leisure time on the beach of Pattaya. You can do some swimming and surfing, enjoy the sunshine, etc. Next day start with a visit to Coral Island. Koh Larn (Coral Island) is the largest in Pattaya major attractions include viewing coral reefs from glass-bottomed boats. Free leisure time on your own on the beach. At afternoon drive back to Bangkok. End of this tour.